For those who want to use their skills as a conversationalist as the foundation for a career, or want to use their technical expertise to help create a professional production, then broadcasting is the field for you. Whether you have an interest in television or radio, you can begin your journey with an Associate’s Degree in Broadcasting. 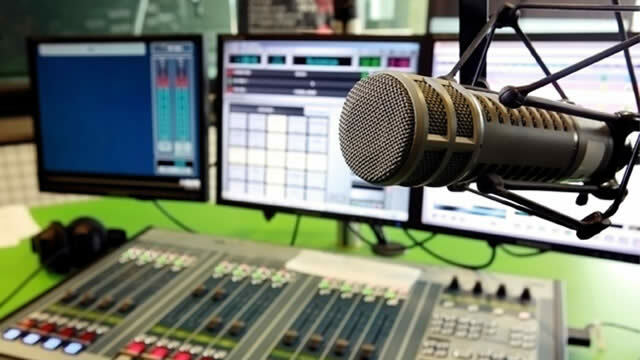 Depending on your school, you may have the option to focus on either television or radio or may be able to learn the fundamentals for both forms of broadcasting. Broadcasting focuses on more than simply speaking what is on your mind. Your studies will include the proper maintenance and operation of relevant equipment, including those used during live productions. Additional coursework provides essential knowledge on program creation, news writing and reporting, sales and marketing, and the basics of professional journalism. Successful graduates from competitive broadcasting programs may have the opportunity to work in news environments in advertising, sports, traffic, and weather. To be admitted into an Associate’s degree program, most educational institutions require prospective students to have either a high school diploma or its equivalent prior to beginning classes. While additional requirements may vary depending on the school you choose to attend; you can make sure you are well prepared by concentrating on your English, writing, and technical skills while you are still in high school. You can also explore public speaking and drama classes to help with your articulation and delivery. Computer courses are also beneficial for almost any potential career path. Additionally, most Associate’s degrees require all students to meet certain core requirements to obtain a degree. This includes classes in English, mathematics, science, and history. You will also have the opportunity to choose from available electives to round out your educational experience. If you want to give yourself an advantage while pursuing your broadcasting degree, then increase your familiarity with computer systems and technology. You will also want to familiarize yourself with a variety of social media platforms, as many radio and television broadcasts are connected to a selection of social media platforms to connect better with their audience. Various soft skills can also be helpful towards a broadcasting career. Due to the nature of the business, time management skills are critical, especially for live productions. Organizational skills will help you create effective programming while the ability to multitask lets you move quickly between items to keep a show running properly. Depending on the exact job, you may be expected to sit or stand for extended periods of time. For example, radio broadcasters will have limited options for movement while the show is running. Positions behind-the-scenes may also require additional physical elements, like handling large pieces of equipment and occasional heavy lifting. Your first step towards your career in broadcasting is to complete your high school diploma or its equivalent. Often, you can apply to schools that interest you prior to your official high school graduation, but your ability to attend will be contingent on the completion of this educational requirement. As part of the application process for the broadcasting program, you may need to complete financial aid paperwork. For example, institutions that are able to accept federal financial aid will require you to forward your completed Free Application for Federal Student Aid (FAFSA) to the school for consideration. The results of the FAFSA will determine your eligibility for a variety of offerings, such as Pell Grants or federal student loans, and are not determined by the school itself. Schools may choose to offer their own financial aid options. These can be independent of the FAFSA results and are managed based on program standards set by the educational institution itself. For example, a school may offer students access to a scholarship if they meet certain requirements. To qualify for these programs, you may need to complete additional application paperwork, but your financial aid office will be able to review what is required. If you do not qualify for financial aid or your award does not meet all of the necessary costs, there are additional options. Some schools, at their discretion, offer students payment plan options. Additionally, you may be eligible for private student loans from various lenders. Each school may have its own standards regarding when payment is required, so make sure to work with them directly. Class offerings and schedules are determined by the school that you opted to attend. Some colleges have set program designs. This means that every student who begins the program at the same time all attend their classes in the same order. Often, this is used to help streamline the educational process. It also ensures that students move through the courses in a logical order so that previous experience can help with future success. Other schools allow students more flexibility in meeting their degree requirements. For example, if your degree requires a science course with a lab, you may be able to choose between taking chemistry or biology. While degree specific classes must be included to complete the broadcasting program, others just have to fall into the required subject areas. You may have to meet with an advisor to discuss your options before solidifying your schedule. Once you have been admitted to a broadcasting Associate’s degree program, you will need to attend your scheduled classes. Coursework will cover a variety of subjects, and you will receive specialty instruction relevant to your major. Most educational institutions will offer traditional daytime class schedules, but some schools will also offer night and/or weekend alternatives. If you need something other than a daytime program, it is best to research the schools scheduling options prior to admission. In some cases, a broadcasting degree can be obtained online. This means you could have more flexibility regarding where and when you work. Some online courses require meeting foundational requirements throughout a week, with no particular time being required. Others may need you available for events like lectures or tests. If you have questions about online class requirements, speak with your school directly. The amount of time required to complete your degree may vary slightly depending on the school you chose to attend, as well as the rate at which you complete your classes. As a reference point, it is typical for an Associate’s degree to require approximately two years of schooling before the program is complete. Students who are capable of taking an unusually heavy course load, suggesting it is permitted by the school, may be able to complete the degree faster. In some cases, if you are only taking classes during the evening, your degree may take longer to complete. Your academic advisor will be able to review your options to help determine the best schedule for your needs. You will attend classes to meet all general education requirements as well as courses for your selected program. Broadcasting students can expect classes on audio and/or video techniques, radio and/or television announcing, production, media writing, journalism, and more. Each school may have slighting different class options available, but the information provided is generally comparable from one program to the next. However, some programs may specialize in specific areas of broadcasting, such as radio or television, while others may take a more comprehensive approach by covering key elements from all forms of broadcast media. Additionally, some schools may require an internship as part of the program. This can include time working for on-campus programs, such as a college radio station, as well as placement with local stations. This can help provide valuable real-world experience applicable to working in the field. Competition to work in front of the microphone or camera can be fierce. While some employment sectors may experience some growth others will see a fall. For example, internet broadcasting is still relatively new as a career option, so the need for talent in that arena may increase. However, the demand for news reporters is expected to decline. In contrast, those working behind the scenes see average job growth rates. Since technology has become so embedded in the broadcasting process, a certain amount of expertise is need to properly operate and maintain the equipment. This creates additional opportunities in those areas that may not be present for on-air personalities. Depending on your exact position, you may work from one or more locations. Some radio and television broadcasting employees remain predominantly in the station, making the vast majority of their work indoors. Others may perform work in the field. This can include working outdoors as well as at locations owned by others. Internet broadcasters may even have the opportunity to work from home, depending on whether they are employed by someone else or classify as self-employed. Those focused on reporting news live at the scene of an event may be placed in dangerous situations. Those working on stories related to natural disasters, war activities, and police action may be in harm’s way. The job can also be fast-paced, and high stress in general, as the ability to meet deadlines, is a requirement for the position. Broadcasting is a 24-hour business. Your work schedule will depend on the type of position you accept and for whom you will be working. Radio and television broadcasting personalities often start during less desirable time slots as they build their career. This can involve nights as well as weekends. Even more coveted positions, such as a morning news anchor, may begin their days earlier than you expect. For example, a news anchor who is on-air beginning at 6:00 a.m. may actually arrive at the studio at 4:00 a.m. to begin work. Those working behind the scenes may find more scheduling options available depending on their skill set. However, entry level positions may also tend towards less desirable times until you are able to prove your capabilities. Internet broadcasters may have more flexibility, as operations may not run all day and night. However, it isn’t uncommon for night hours to be required to prepare for early morning shows, especially if current events are heavily featured in the show. However, those focused on other subject areas may have a more relaxed schedule. With the diversity in the broadcasting field, salaries can be dramatically varied. For example, full-time news reports may begin their career making just over $21,000 per year. However, top earning broadcast news analysts can make over $187,000 a year. Broadcasting technicians earning median wages earned almost $42,000 per year, with those focused on sound engineering drawing more than those focusing on general audio/video equipment operations. Pay in these areas tends to be comparable to those working in certain IT or electronics-based positions, making it an excellent choice for the technically-minded person interested in media and broadcasting. For those working full-time, a comprehensive benefits package may also be available. This can include access to medical, dental, and vision care benefits, retirement planning options, and life insurance. You may also qualify for paid days off, such as vacation or sick leave. Since much of broadcasting is based on a 24/7 business model, working holidays may be required, especially earlier in your career. Career growth opportunities depend on multiple factors. On-air personalities may earn more as they gain experience and exposure. However, a level of innate talent may also be required, and there is a high degree of competition for these positions. It isn’t uncommon for on-air personalities to begin their careers in smaller markets and less desirable stations. Moving forward requires serious dedication to the craft and may require a level of patience. Those working behind the cameras may experience a steadier career path. Expanding their knowledge and adding experience will lead to more opportunities as many other technically-focused career options. As technology becomes more involved, managing many activities previously handled by people, the demand for competent equipment technicians and programmers can continue to increase. Additionally, while an education helps provide the fundamentals necessary to work with the equipment, on-the-job learning opportunities are also common. If you intend to pursue broadcasting as a long-term career, then you may want to pursue additional education. An Associate’s degree provides a solid foundation upon which to pursue a Bachelor’s degree. In fact, some positions will require applicants possess at least a Bachelor’s degree to be considered for the position. Graduate level programs are also available, but may not be necessary for all job categories.